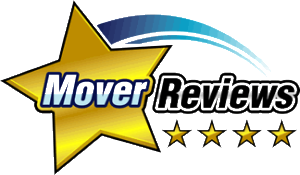 Moving An Aquarium - Moving Services Inc. | Moving Services Inc. Tips on how to move your aquatic friends. The best word on moving fish (and in this discussion, fish includes all aquarium animal life) beyond very short distances, is DON’T. Travel is very stressful on fish, and even with the best precautions, you should expect to lose several. Given this is true, you may want to seriously consider selling off your stock and getting new fish at your destination. If, given the above, you still want to try to move fish, then the following may help to minimize the pain and loss of fish. The task of moving fish basically splits into two tasks: moving the tank, and then (later) moving the fish. Do not attempt to move the fish in their tank. Drain your tank. If the move is going to be short, preserve some of the water to help preserve the bacteria colony. Disassemble your tank. Aquarium plants will survive a fair amount of time if their roots are kept wet, so it should be possible to bag them with some water and set them aside for hand-moving. If the move is going to be short, put your filter medium in a sealed container (preferably a never-used pail or other chemical-free hard-sided container) without cleaning it. For long moves, either clean or discard your filter media. Pumps, heaters, etc. can be packed like any fragile appliance. Move your tank. Don’t use a moving company or professional packers unless you have absolutely no choice AND you can supervise them packing the tank and loading it in the truck. It’s far better to move it yourself. Reassemble your tank at your destination. If you’re doing a short move, you should have enough dechlorinated/treated water available on arrival to fill your tank and get water moving through your filter. If you’re doing a long move, then set your tank up as if it were a new tank, including a week-long delay before putting fish in the tank. Initially, put in a few hardy fish to get the nitrate cycle established. After the tank is stable, put the fish from your old home back in. Where do you put them while you’re moving the tank (a week+)? How do you pack them? How do you support them while they’re being moved? Where do you put them? Some pet stores will, for a fee, board fish during a move. A signed contract, detailing what responsibilities the pet store is assuming, is a very good idea. Some pet stores, for a further fee, will pack and air-ship the fish to you on request. This isn’t cheap. Bear in mind that you’ll be leaving the fish there for at least a couple of weeks. For short periods of time (a couple of hours, tops) you can put the fish in sealed bags, half-filled with air. This time-span can be stretched somewhat by filling the bags with oxygen, rather than air. Put the bags in a padded, compartmentalized container, and ship by air. (This is basically how pet stores receive their fish). For larger fish, or longer trips, one can use a sealed bucket for each fish, rather than a bag. How do you support them on the move? Fish basically won’t eat during the move. They’re too stressed. You also don’t want to degrade the water quality with the food. Fish can survive a week or so without food if they’ve been previously well fed. Try to maintain an even temperature, perhaps by placing the fish in a sealed cooler, or compartmentalized cooler. For long trips, particularly by car, a battery-powered airpump and airstone is a good idea (if not a must). After the move, slowly condition the fish to the new tank location, as you would in adding new fish to a tank.